Because working with steam can be very dangerous, strict government and industry regulations are in place to ensure that all steam operations operate safely and efficiently. 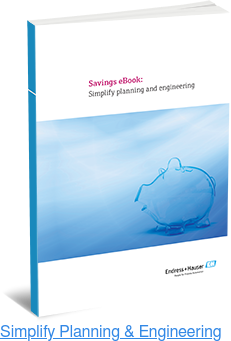 These regulations reduce the risk of potential downtime, improve production quality, and most importantly, prevent explosions and fatalities. On July 28, Endress+Hauser held a comprehensive Steam Seminar at our Greenwood, Ind., headquarters. At this daylong event, speakers discussed how to best meet and maintain these safety guidelines while optimizing performance. During a jurisdictional inspection, all aspects of a boiler system are examined. Commissioned inspectors must have knowledge of code calculations, pressure testing, in-service inspection, quality systems, welding, controls and safety interlocks, and more. Terry Vacanti — a National Board of Boiler and Pressure Vessel Inspectors (NB) commissioned inspector for 36 years — was a key speaker at Endress+Hauser’s seminar. For the past seven years, Vacanti has been the sales and account management leader for ARISE, Inc., a leading jurisdictional shop-inspection services provider. Vacanti’s presentation covered the basics of a standard NB commissioned jurisdictional inspection. Referencing several notable boiler accidents, he explained why steam applications are so heavily regulated and boiler inspections so thorough. He also discussed accredited inspection agencies before giving an overview of the standard inspection process and commonly found infractions. Controls and Conversions Manager Wendell Pipkin attended from Cleaver-Brooks, a full-service boiler room solutions provider founded in 1929. Cleaver-Brooks manufactures hot water and steam generation products that maximize energy efficiency and reliability while minimizing emissions. Pipkin first gave an overview of the different types of boilers, covering fire-tube, which produce steam or hot water for commercial or industrial process applications and are often used for comfort heating; electric, which have no combustion risks and can serve as an alternative for supplying low- or high-pressure steam or hot water when restricted by emissions regulations; and condensing, which can achieve up to 98 percent thermal efficiency compared to conventional designs’ 70-80 percent. Thomas M. McDonnell from Rockwell Automation then took the podium to discuss his company’s partnership with Endress Hauser. Together, the companies provide broad, fully integrated process solutions, ranging from individual products to system platforms and fully engineered solutions. McDonnell went into detail about a number of aspects of steam process automation, including burner management systems, emergency shutdown procedures, combustion control, and overall boiler performance. He also touched upon some of Rockwell’s key deliverables for automation integration — installation, instrument and network interface configuration, and smart device faceplate visualization. Larry Dickerson travelled to the seminar from Armstrong International, a family-owned business with over 100 years of experience in steam, condensate, and hot water systems. With emphasis on energy management and savings, Dickerson discussed the importance of establishing and maintaining comprehensive steam and condensate management programs, including important energy management and saving aspects. He also reviewed how to identify and resolve some common boiler issues such as undersized drip legs and malfunctioning steam traps. 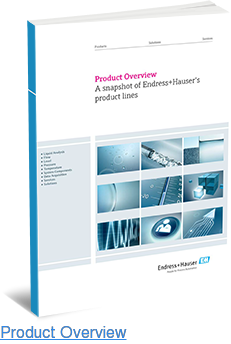 Since 1953, Endress+Hauser has been an industry-leading provider of products, solutions and services for industrial process measurement, and automation applications. We provide calibration, commissioning, maintenance, training, and engineering services for a range of industries. 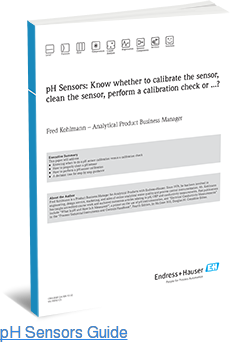 As the only process instrument manufacturer that provides both lab and field accredited calibrations, we’re proud to offer calibration services for flow, pressure, and temperature applications.